India is offering cash rewards to informers who help bring criminals selling fake drugs, devices and cosmetics to justice. The country's Central Drugs Standards Control Organisation (CDSCO) says it is taking the action partly in response to often-repeated claims that counterfeiters in other areas of the world - including China - are supplying falsified or 'spurious' medicines that are made with a 'Made in India' label. At stake is the reputation of a pharmaceutical export market valued by the CDSCO at around 350bn rupees ($6bn) a year, accounting for 8 per cent of global production and 2 per cent of the global pharma market. The reward for whistleblowers has been set at up to 20 per cent of the total value of intercepted shipments of goods that are subsequently confirmed as "spurious, adulterated and/or misbranded", according to the CDSCO. The maximum value of the reward is 2.5m rupees (around $40,000), it says in a circular published this week. The reward will be paid in stages - with 25 per cent when charges are filed, 25 per cent during the course of the trial and the remaining 50 per cent "only when the case has been finally disposed of in favour of the Government and no appeal with respect to the matter is pending." The regulator also sets a ceiling on the reward that a government official can claim at 500,000 rupees per incident and 3m rupees over his or her entire period of service. The measure sits alongside other initiatives designed to boost confidence in India's pharmaceutical exports, including the addition of serialized codes to medicine packs to make it easier to track shipments through the supply chain. 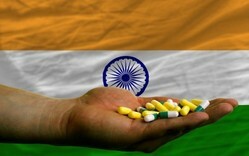 India's government also said in May that it will spend around 30bn rupees ($510m) over the next three years to increase pharmaceutical regulatory capacity at the federal and state level, according to a recent report from Business Monitor International. The number of regulatory inspectors at the CDSCO will double to 1,000, while the number of officials at state regulatory departments will increase from 800 to 3,000. Meanwhile, the regulator says it is in the process of conducting an all-India survey to assess the extent of availability of spurious drugs in the country and to identify "the geographical areas where spurious drugs are available so that a focused monitoring is done [to eliminate] the menace of spurious drugs." India looking to serialisation to secure medicine exports?